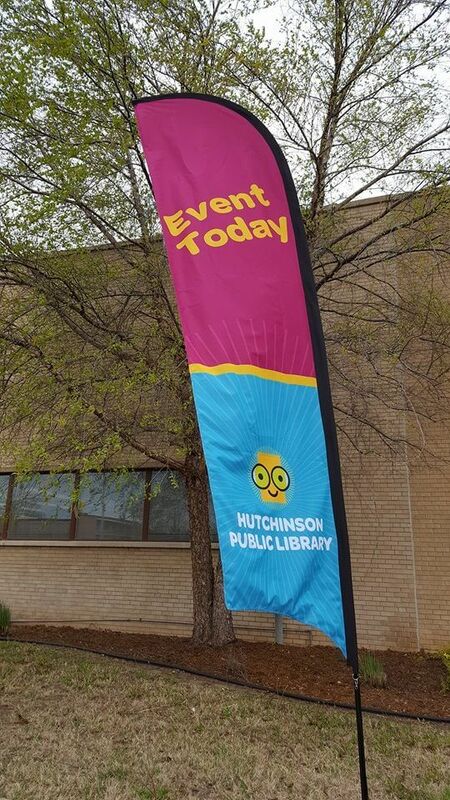 We occasionally see some different logos in the library world (Anythink comes to mind), and here’s another one to add to that list: Hutchinson Public Library’s ‘Nerd’ logo. On April 11, 2016, the new branding (including the logo, tagline and website redesign) was revealed to the public (you can read the full article in the local newspaper, The Hutchinson News). Design work on the branding was done by Bowercomm lead Lori Bower, who is quoted in the news story as saying, “The inspiration was actually the nerd… Let’s just embrace the idea”. The news articles also notes that staff are calling the Minion-esque mascot in the logo “Seemore” (clever.). Compared to the old-fashioned prior logo (reliant on the typical book-theme), this new design is marked improvement. The branding features a bright colour palette, including vibrant pink, yellow, and blue. One wonders if the designer was visiting Ad/Lib when considering colour schemes (I kid). There is a lingering question about how well this kind of mascot/logo will age compared to more classic-looking logos – it certainly feels fun and unique now (and Minions are still hot), but how will it hold up in five, ten years? (bookmark this post now, set reminder in calendar). Also, one commenter on in the news article notes that the linking of people that wear glasses with the often pejorative term nerd might be a little unfair. 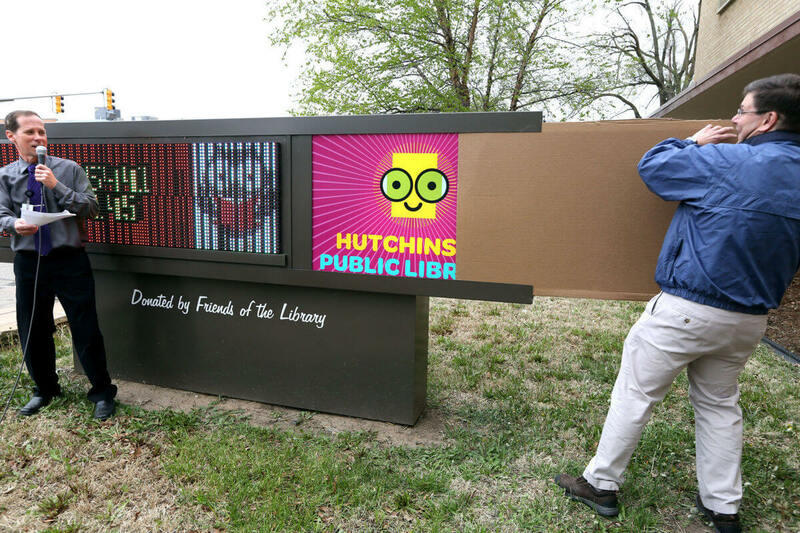 In any case, it’s an intriguing and very different take on the traditional library logo, and I give Hutchinson Public Library credit for trying something unusual.